(NaturalNews) A former Iowa State University scientist who was indicted for faking the results of vaccine trials has pleaded guilty to misconduct, according to new reports. Dr. Dong Pyou Han admitted in a resignation letter that he is "very ashamed" of himself for lying about the effectiveness of an experimental vaccine for AIDS, to which he deliberately added human antibodies in order to create the illusion of a favorable immune response. Working under the direction of Dr. Michael Cho, Dr. Han had been testing the novel vaccine for AIDS on rabbits using grant money obtained from the federal government. 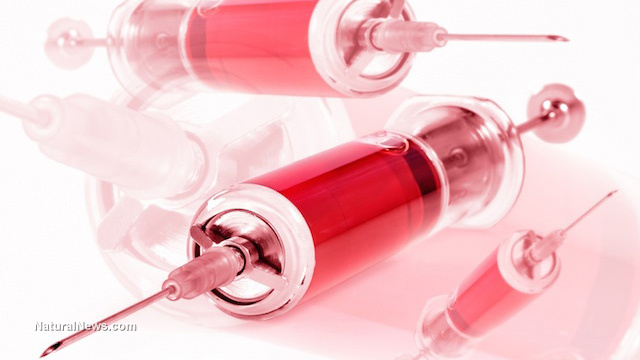 Based on the results he was procuring, the "GP41" vaccine appeared to be generating antibodies to the HIV virus, implying that it may be an effective treatment for AIDS. But when the National Institutes of Health (NIH) requested samples of the rabbit sera for analysis, it was determined by another researcher at Harvard University, Dr. Ellis Reinherz, that Dr. Han had spiked the samples with human antibodies -- the rabbits, in other words, had not generated their own immune antibodies, exposing the AIDS vaccine as a scam. "Dr. Han faked experiment results by adding human antibodies to blood draws from rabbits," reads the official complaint filed by Health and Human Services (HHS) Special Agent Blair Johnston. "[He] made it appear that Dr. Cho's AIDS vaccine was effective when, in fact, it was not." Upon further investigation, it was revealed that Dr. Han had been tampering with the research results for years, presumably in order to maintain continued funding from NIH. According to Courthouse News Service (CNS), Dr. Han had raked in a whopping $19 million in federal grant money prior to being exposed for fraud. "I was foolish, (a) coward, and not frank," confessed Dr. Han. "My misconduct [was] not done in order to hurt someone. [M]y foolishness ... [is] my fault and responsibility." Despite working with others on the tampered research, Dr. Han was the only scientist in his lab indicted. At his May 29 sentencing hearing, he faces a fine of up to $250,000 and up to five years in prison on each of two counts. Procuring favorable outcomes in vaccine trials by any means necessary is really nothing new. It's the name of the game when it comes to securing federal funding, which is really what most scientists are after. A similar situation occurred at private vaccine manufacturer Merck & Co., which was exposed for threatening its employees over faked vaccine trial data. As we reported back in early February, former Merck virologist Stephen A. Krahling was threatened with jail time by Merck management after he attempted to notify the Food and Drug Administration (FDA) about scientific fraud at the company. The mumps component of Merck's combination MMR vaccine had not been reaching the necessary 95 percent efficacy threshold required by the FDA to keep it on the market, claim Krahling and his colleague Joan Wlochowski, so Merck officials resorted to falsifying data in order to reach the required threshold. Centers for Disease Control and Prevention (CDC) whistleblower William Thompson has also come forward with information about MMR fraud, revealing that vaccine trial data had been tampered with in order to conceal the fact that MMR causes autism, particularly in young black boys.